Huntingdon is an important bridge-head where the A1, the Great North Road, crosses the River Great Ouse. One of the principal towns in the District of Huntingdonshire, we want to take the hassle out of document storage and archiving for the businesses of Huntingdon and the surrounding areas. 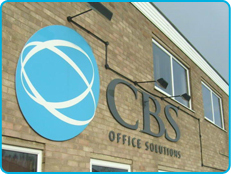 With our purpose built warehouse near by in Cambridge you can protect your documents and have easy access to them with free next-day delivery and collections.